The Toys 'R' Us founder has died this Thursday at the age of 94. This event comes after the announcement that the beloved chain store filed for bankruptcy in September of 2017. In the months following its bankruptcy announcement, the company has filed for the liquidation of its stores as of March 2018 as debts continued to mount and sales continued to plummet. Their locations will continue to sell out their inventories within the coming months before the stores will shut their doors indefinitely. 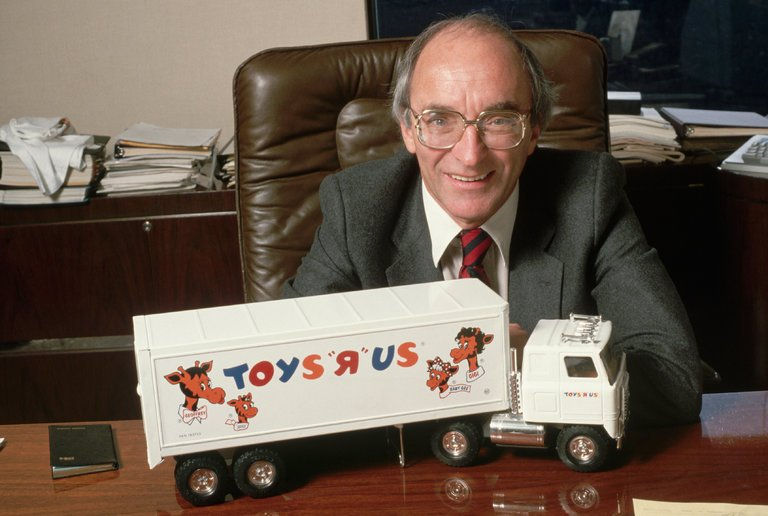 As a spokesperson for Toys 'R' Us has posted on the company's Twitter, "There have been many sad moments for Toys 'R' Us in recent weeks, and none more heartbreaking than today's news about the passing of our beloved founder, Charles Lazarus. Our thoughts and prayers are with Charles' family and loved ones." As a son of a local entrepreneur in his hometown of Washington, D.C., Charles P. Lazarus always had a dedication for his father's small business. After serving in World War II at 25 years old, Charles Lazarus created a baby furniture store in his hometown of Washington, D.C. The first store was called Children's Bargain Town, which Charles Lazarus oversaw on his own. Within two years, he expanded his inventory to include numerous toys as they became the bestsellers within his store. By the late 1950's, he had reconstructed his lucrative business and based his store on a model of self service grocery stores. With the new format, he expanded his inventory to include various toys and allowed shoppers to shop as they would at a grocery store.This would forever change the toy-selling business and would lead to a company that would last for seventy years. The store would continue to change and shape its way throughout multiple generations. Founded in 1948 some of the bestselling toys of the year would have been Slinkies and magic 8 balls. As generations changed, Toys 'R' Us would continue to see prosperity as Barbies, Easy Bake Ovens, Frisbies, Lite Brites, Rubix cubes, and Beanie Babies were created as the decades would change. Sales had begun to plummet throughout the latest decades as the internet has created a more competitive marketplace for the toy industry. The store had enriched the lives of children for over eight decades and will continue to be missed within the upcoming weeks as the thousands of locations will be shut down. An obituary will be posted at a later time for the founder of the popular chain stores.